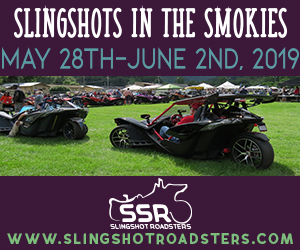 Your place for Slingshot info. Loans approved... waiting for the sling to get ready to join the Club. Forcing air into the engine! You have found your spot for tech info. Not forcing air into the engine! You have found your place to get performance info. 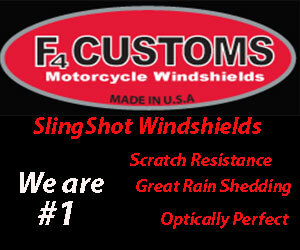 The official Slingshot Owners Group section. Members share their journey in making it their own. Click here to see members builds. Members build area. Please read the instructional post if you want to start a build. Please post any suggestions that you would like to see changed or added to this site..
Just a little fun for members. Be sure to tune in our FaceBook Live event coming up! New Product! DDMWorks Gauge Bezels! CBM Motorsports is now a vendor! Air conditioning has arrived ! FINAL WEEK, MARCH MADNESS SALE ! FENDER RAFFLE TO BENEFIT PBTF!! R-SHOT Mesh Windscreen for the SLINGSHADE TOP - Pre-Order Now! !